Custom Flyer Sizes | Telepathic Graphics, Inc.
We offer an incredible range of flyer sizes for all your business and marketing needs. Large or small we do them all. Flyer printing is a breeze with Telepathic Graphics. The process from upload to checkout takes a matter of minutes. 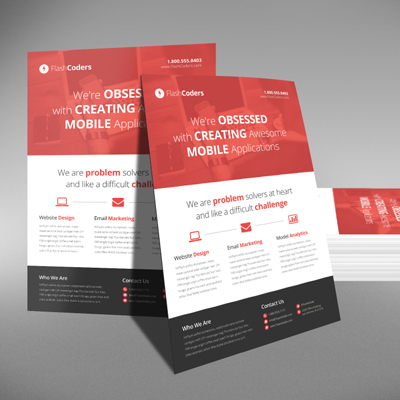 Mail them out, hand them out, leave them out for people to take – any way you use them, flyers are one of the most effective ways to promote products, services, events, restaurants, meetings, and much more! Start yours today! Flyer printing services are available in any size under 12 x 18. If you need a custom flyer size, use our instant calculator to create your own size.